Hat Height: 9cm, Hat Brim: 7cm. Hat Perimeter: 55-59cm. With Adjustable Buckle, Adjustable Size: 55-60cm. One Size Fits Most, Suitable For Men, Women And Teen. Comfortable And Soft Material:Cotton Denim Fabric (monolayer). Best For Hip-hop Sports Street Dancer Summer Beach Baseball Cycling Football Camping Running Beach Climing Hiking Golf Tennis Travel Costume Parties And Any Other Occasions. 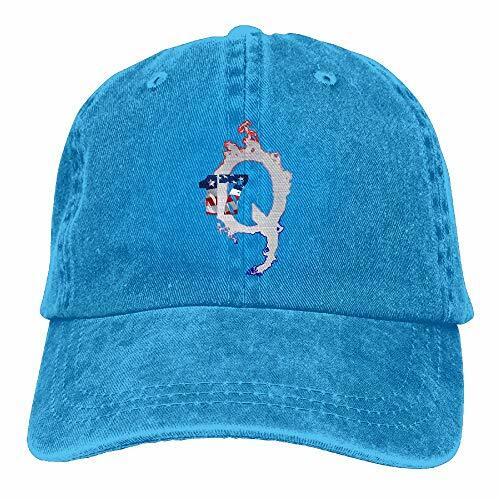 The Exclusive Design Of Baseball Caps,Various Colors Makes The Perfect Style For Your Head. Our Baseball Caps Suitable For Adults,College Students, Teen Boys Or Girls Alike.Great Gift That Send It To Friends Or Family. SATISFACTION GUARANTEED: Guarantees That You Will Love Our Product. We Strive To Make The Product At The Most Affordable Prices For You. If you have any questions about this product by LETI LISW, contact us by completing and submitting the form below. If you are looking for a specif part number, please include it with your message.